Apple just released a new update to iOS 7 to fix some lock screen bugs. 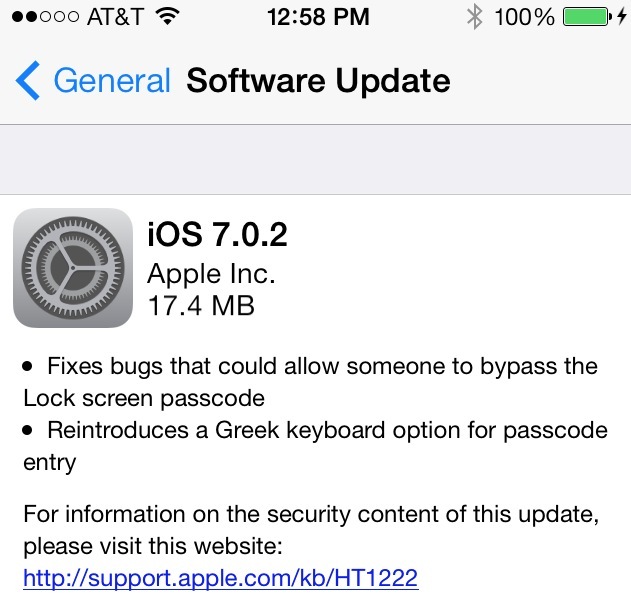 It fixes bugs that could allow someone to bypass the Lock screen passcode, reintroduces a Greek Keyboard option for passcode entry, and possible other small bug fixes. Here are the direct download links to iOS 7.0.2. If you are looking for older iOS firmware you can check out the OLD IOS FIRMWARE DOWNLOAD page.